Have you found yourself depending too much on credit cards and enjoying the freedom of BUY NOW, PAY LATER? If so then maybe it's time you started thinking about getting a Swirl Prepaid Mastercard!! Although you may enjoy the convenience of having a credit card your spending can quickly spiral out of control. If you're feeling the pressure of growing debt, then now is a great time to try and break free from it with Swirl Mastercard. What's the difference between Swirl Card and a credit/debit card? 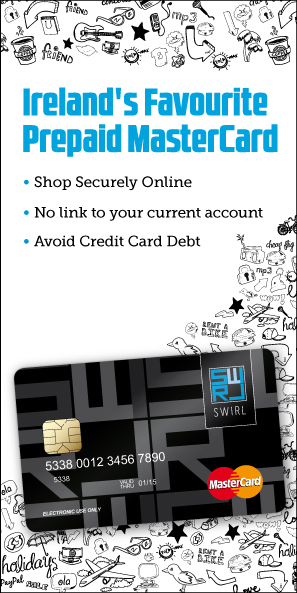 How to manage your money with your Swirl Card? The Swirl Prepaid Mastercard® can be used for all aspects of budgeting and responsible cost planning. You can use it on an ad-hoc basis for individual occasions such as holidays or more frequently to control your weekly/monthly running costs or household expenditure.